with Qantas and Destination NSW. Vivid Sydney is a reason in itself to visit Sydney in winter. But the cool change brings other transformations. 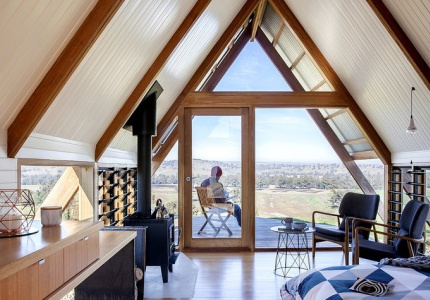 In partnership with Destination NSW and Qantas, here’s our guide to experiencing the best of the city’s winter soul while you’re in town. The iconic Sydney stereotype is bronzed swimmers, waves, and blazing beachside attractions. But with a dynamic arts community, vibrant crafts culture, unique nightlife and a world-class restaurant scene, the city shines even when the weather cools. Here’s a locals’ itinerary on how best to experience a week in Sydney in winter. One thing Sydney does better than just about anywhere in the world is fusing Asian and European cuisines in an intelligent, unpretentious way. Rising Sun Workshop, Newtown’s casual motorbike-workshop-cafe-in-one, is a prime example. In the mornings it does breakfast bento boxes, Thai-style bacon and eggs, and Hokkaido milk buns. During the day, it’s untraditional wintery ramens, and at night, Japanese-Australian charcoal-fired skewers. Also in Sydney’s inner west – the artistic, counter-culture side of the city – is DEA, an independent homewares store showcasing the breadth and skill of Sydney’s local craftspeople. Owners Karin Huchatz and Colin Grimmer run the store like a gallery, regularly swapping out pieces for new designs and mixing the local wares with handmade products from Portugal, Japan, Turkey, India and Scandinavia. End your day in the heart of Sydney’s alternative community with a drink and dance at Riccardo’s in Marrickville, a fun, one-night-a-week dance club in an old Portuguese community club. Don't go in for a quiet one: the party here runs until 4am. Sydney’s dining scene has expanded from fine-dining to include more diverse, casual environments over the past few years. One chef pioneering this is Mitch Orr, a pasta master now as famous for serving a simple mortadella roll as he is for redefining sisig (a Filipino sizzling platter made with egg yolk and bits of a pig’s head) into a macaroni dish. Orr serves up these two dishes along with other homemade pastas at ACME, a Potts Point restaurant with an enviable wine list and seasonal cocktails. For a limited time in winter ACME will also be running an innovative, Asian-inspired brunch degustation. If you shoot for a visit to ACME in the morning, that gives you plenty of time to get into Baxter Inn, one of Sydney’s best underground saloons with a whisky list pushing 800 varieties. At the other end of the CBD in Darlinghurst is the Oxford Arts Factory, one of the city’s best and most reliable music venues. Inspired by Andy Warhol’s Factory in New York, it’s become a leader in fostering Sydney’s local music scene. Vivid Sydney pick: Obama “Hope” artist Shepard Fairey will headline the Vivid Ideas Game-Changer talk series on Saturday June 17 at Sydney Town Hall. Hear how he’s turned his creativity into an authentic voice about street culture by completing more than 70 large-scale public murals around the world. See him at work earlier in the day when he completes one of the largest public murals in the city at 309 George Street, Sydney. Recovery day starts with the Aroma Festival (July 11–24). 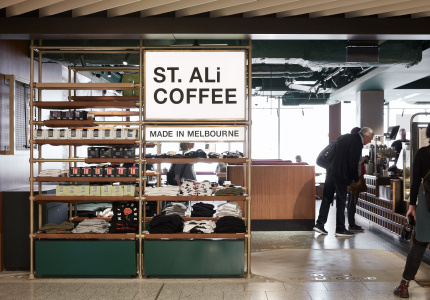 The festival brings the best coffee roasters, tea makers and chocolatiers from around Australia into one market place located in The Rocks, a heritage area showing off architecture from early colonial Australia. Feeling suitably warm and energised from caffeine and cocoa, stroll down the street to catch sight of Sydney’s most prominent landmarks, the Sydney Opera House and the Harbour Bridge. Later in the afternoon, join the local crowds at the pub The Unicorn in Paddington, (which has the charm of old Australian pubs but with far better grub), and then into Sydney’s stadiums to see the A-League finals or the opening finals rounds of the AFL. Vivid Sydney pick: Dappled Cities will present its brand new album ||||| (pronounced “Five”) at a huge gig at the City Recital Hall on June 4, complete with an immersive lighting spectacle. The local darlings will showcase new material and reimagine music from its long career. No Sydney trip is complete without a visit to the city’s epic coastline – no matter the weather. The most iconic is the Bronte to Bondi walk. The staircases and gradual cliff climbs will keep you warm, but for extra winter indulgence there’s several options for the Bondi end of the walk. First is Porch and Parlour, a cosy cafe that doubles as a wine bar at the end of the week. 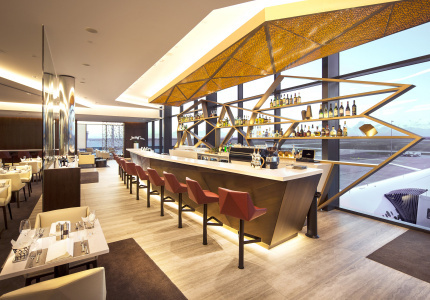 The second is Icebergs, a semi fine-dining Italian restaurant with a world-class bar and even better view. Unless you’re brave you won’t be doing much swimming at the pool below, but you should steam up in the sauna rooms. Two decades back Chippendale was a shabby neighbourhood, but now it’s hot property and features some of Sydney’s best dining options as well as one of the city’s most progressive art galleries. This can partly be attributed to the enterprising Central Park development that has rebuilt a dilapidated brewery and the run-down terraces around it into a verdant living space complete with a world-class dining district. 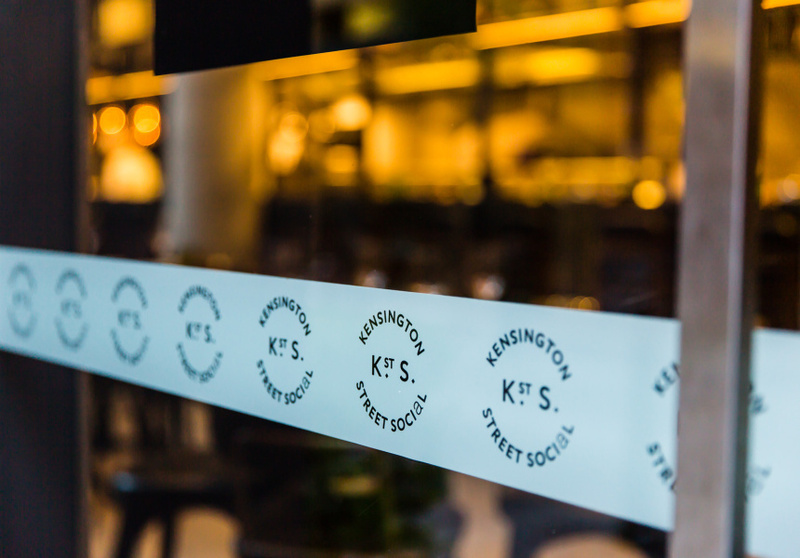 Some of the highlights include Automata, an irreverent fine diner with punchy umami-rich ideas; Kensington Street Social, an all-day venue from UK celebrity chef Jason Atherton; and Spice Alley, a unique street of terraces filled with hawker stalls each serving a different cuisine. Before all that existed there was the now-acclaimed sourdough bakery Brickfields and contemporary art gallery White Rabbit that exhibits one of the world’s most significant collections of Chinese modern art. Some of Sydney’s best-kept secrets lie within the Royal Botanic Garden. While most travellers are visiting the gardens for the stunning views of the harbour bridge, Sydney Opera House and city skyline, the most astute visitors will stay an extra hour to taste some native bush foods and learn about indigenous plant usage in the gardens’ Aboriginal Heritage Tour. Also check out the well-hidden succulent garden and its extensive range of exotic and odd cacti. Depending which side you exit the gardens, you’ll be close to another internationally recognised Sydney landmark. On the eastern side, it’s Sydney’s premier art institution, the Art Gallery of NSW, which in winter hosts The National – an exploration of Australian art in all of its mediums and from all its contributors. The same exhibition will be in the Museum of Contemporary Art, the landmark at the western exit of the Botanic Garden. As well as hosting newer innovative and experimental pieces, some of which contribute to The National, the gallery regularly hosts acclaimed international artists. This winter you’ll find a decade long look into French-Algerian artist Kader Attia. 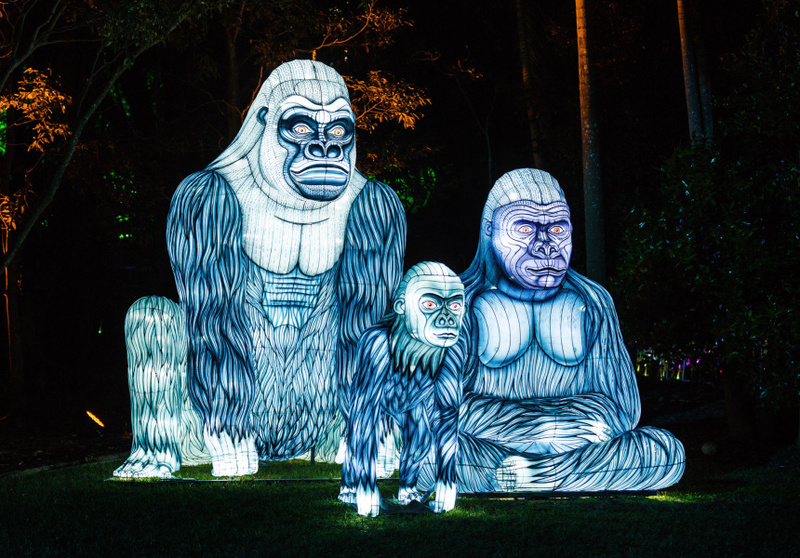 Vivid Sydney pick: While in town during Vivid, don't miss the enormous, garishly-lit animals dotted around Taronga Zoo. Over in the Royal Botanic Gardens, watch the five giant illuminated eyes that follow you as you walk around, part of You Lookin’ at Me. One of the very best places to eat seafood in Sydney is Saint Peter, a tiny eastern-suburbs eatery run by young chef, Josh Niland. What sets Niland apart is his confidence and attention to detail that sees him champion irregular fish cuts and species, preparing them innovative ways while keeping the flavours simple. Before dinner, check the surrounding area – it’s a prime example of Sydney’s independent fashion scene. Check Harlequin Market for Australian labels and Art Deco-style jewellery; Incu for a well curated mix of local and international names; Robby Ingham for the super luxe; and Land’s End for bold colours, patterns and tailored dresses. Otherwise find the Chauvel Cinema for an afternoon of cult film in a beautiful old cinema that’s been running since it replaced the old Paddington Town Hall ballroom in 1977. 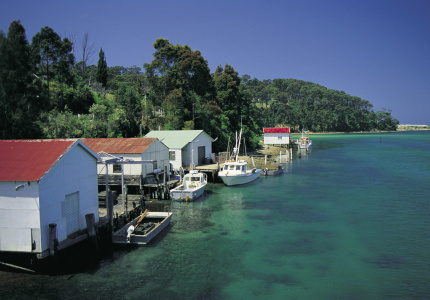 This article is presented in partnership with Destination NSW and Qantas. 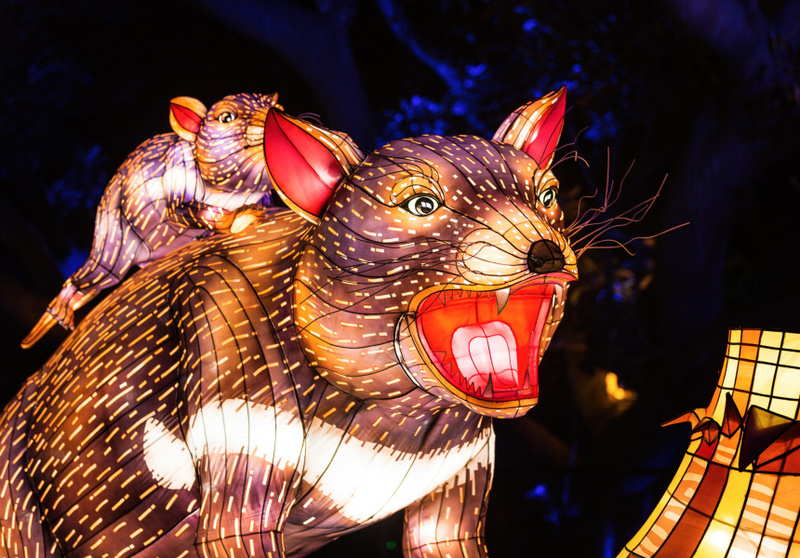 View the full Vivid Sydney program and book your winter trip to Sydney now. with Qantas and Destination NSW. Learn more about partner content on Broadsheet.